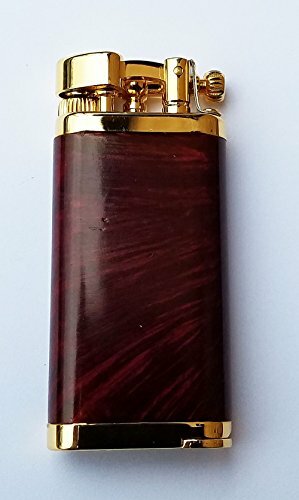 Premium butane pipe lighter with flint ignition Gold plate finish with smooth red briar wood. 90° angled standard butane flame for pipes, cigarettes and cigars. They are made in Japan, and since 1933 the IM Corona company has been producing some of the world's best lighters. From the small components to its surface processing, all mechanics and processes are controlled by severe quality standards. Each Old Boy lighter is packaged in a gift box.